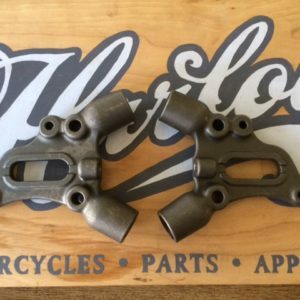 Brand New Harlot Brand Axle Plates. These axle plates are based off the Original OEM Harley Axle plates with a Harlot Twist. We used a set of OEM plates to get the exact geometry for these. They are designed for 3/4″ axle and 1″ O.D. frame tubing. Material is 1025 Mild Steel; Metallurgical data available upon request. Hot out of the molds! Harlot Brand Axle Plates. 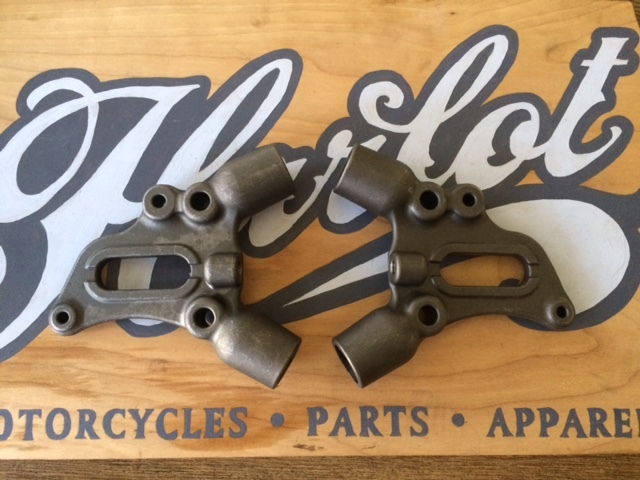 These axle plates are based off the Original OEM Harley Axle plates with a Harlot Twist. We used a set of OEM plates to get the exact geometry for these. They are designed for 3/4″ axle and 1″ O.D. frame tubing. Material is 1025 Mild Steel; Metallurgical data available upon request. Be the first to review “Harlot Brand Axle Plates” Click here to cancel reply.